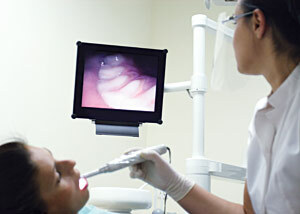 It's an adage we prove true many times each day in our office with our intra-oral camera. Prior to the development of this technology, some of our patients found it challenging to understand concerns such as dental decay and periodontal disease. Now, we are able to display, pause, and zoom in during our video examination of the problem area so that you can see it for yourself — all in color and crystal clear.